You are currently browsing articles tagged Adger Mullally. January 17: Frances P. Mullally, D.D. REV. 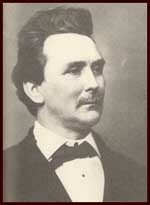 FRANCIS P. MULLALLY, D. D.
Death in New York of a Distinguished South Carolina Divine and Patriotic Citizen. O’Brien, John Mitchell, Thomas F. Meagher, Devin Reilly, Thomas Davis and other gifted and gallant Irishmen. It was the famous movement of 1848, which terminated in disaster and defeat. Dr. Mullally was one of the most ardent and active of the revolutionists; his zeal in the cause and the sterling qualities of the young patriot attracted the admiration of Smith O’Brien, who appointed him his private secretary. He enjoyed the confidence of the leaders and was complimented for his courage and constancy, which was a breathing inspiration, a glowing heart-fire. After the capture, conviction and transportation of the leaders he managed to escape and came to America. After remaining for a brief period in New York he went to Georgia and taught the classics in the C. P. Beman Academy, near Sparta. He then came to this State and settled in Columbia, where he entered the Presbyterian Seminary, from which he was graduated with high honors. On entering the ministry ho was appointed co-pastor to the renowned Rev. J. H. Thornwell, D. D., and soon became prominent in religious circles, and was noted for eloquence, impressiveness, fervor and zeal. Carolina volunteers, commanded by the knightly Col. J. B. Kershaw, and went to Virginia with that command, doing his duty faithfully. Although a minister of the Gospel he was frequently found on the firing line, not only giving spiritual consolation to the dying, but also encouraging the men fighting in the front of the battle. On one occasion, at least, he used a rifle effectively, and his coolness and courage elicited the admiration of Lieut. Col. William Wallace, and that fearless officer spoke of him as the embodiment of bravery. When Orr’s 1st regiment of rifles went to Virginia, under the command of the gallant and chivalrous Col. J. Foster Marshall, Dr. Mullally was appointed regimental chaplain and immediately won the affection of the men by his devotion to duty, his winning amiability of manner and lofty eloquence, which attracted the attention and thrilled hundreds in other regiments of Gregg’s (afterwards McGowan’s) brigade. Gen. McGowan complimented him highly for the deep interest he took in the welfare of the men. Dr. Mullally was known to Gen. “Stonewall” Jackson, who spoke of him in complimentary terms. On that memorable morning, at the Wilderness, when the lion hearted Gen. Micah Jenkins was killed and Gen. Longstreet was seriously wounded, Dr. Mullally was in the midst of the fight, his handsome and expressive face all aglow as he cheered his courageous comrades or knelt by the dying heroes. South Carolina, the affection for the cherished home of his adoption remained unchanged. He continued to believe in the righteousness of the noble cause he so ardently espoused and so faithfully defended. Dr. Mullally was strikingly handsome, tall and finely proportioned. He was magnetic in manner, cultured and of a gentle and generous nature. His piety was of the purest order. He was high-mined and conscientious, firm in his opinions, but temperate and tolerant towards others. He loved his fellow man, assisted him when in distress, made due allowance for his frailties and aided him, too, in a manner fully commensurate with his means. His devotion to his native land was a passion and a romance. In the South he had many admiring friends, who loved him when living, to whom he had endeared himself by his warm-heartedness, manly and sterling qualities, and who deeply deplore his death. Among the many tributes paid to Dr. Mullally during the war, there was none more eloquent than that which came from one of his heroic army comrades, the late Judge James S. Cothran, of Abbeville, to whose assistance Dr. Mullally went during the battle in which that gallant officer was seriously wounded. Judge Cothran frequently said Dr. Mullally was, like Bayard of old, “without fear and without reproach.” Dr. Mullally was a finished scholar, thoroughly versed in the classics; his oratory was of the Ciceronian order. There are survivors of McGowan’s brigade in Charleston and elsewhere throughout the State who recall his rich and resonant voice, his fertility of thought and felicity of expression. During the winter of 1864 he delivered a discourse on the righteousness of the Confederate cause which was a masterpiece of lofty and inspired eloquence, learned and logical. Dr. Mullally wrote a series of able and brilliant articles on the book of Romans, and was a frequent contributor to papers and magazines. He was domestic in his habits and loved the happiness and tranquillity of the home circle. Dr. Mullally leaves eight children : J. B. Adger Mullally, Thornwell, Mandeville, Lane, William, Miss Elizabeth K., Miss Susie D. A. and Miss Mary Clare Mullally.